Popped down to the garden the other day to harvest a few goodies and check on things. 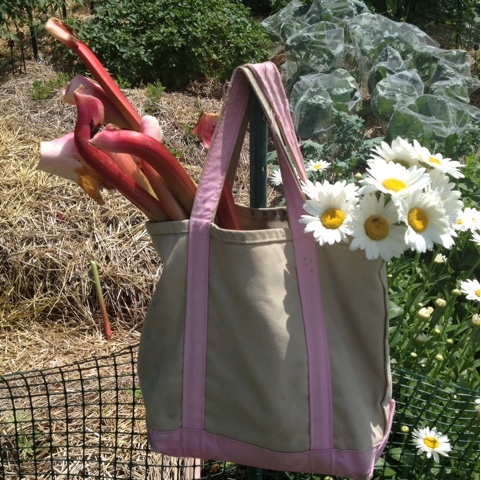 Rhubarb and Shasta Daisies. Waiting on everything else to come in is working my last bit of patience. That said, look how delightful this little harvest is! Hard to complain when fresh rhubarb scones are imminent.